Nora S. Newcombe and Linda B. Smith in recognition of their pioneering achievements in experimental psychology. 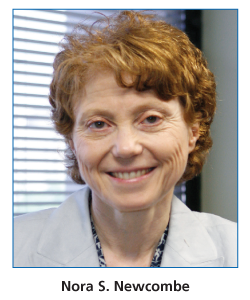 Newcombe, editor of Psychological Science in the Public Interest and a professor of psychology at Temple University, has received the 2019 Howard Crosby Warren Medal for “her distinguished research contributions on fundamental aspects of cognition and development, with emphasis on spatial cognition and the development of memory.” The Howard Crosby Warren Medal recognizes outstanding achievement in experimental psychology, and was the first major award in American psychology when it was established in 1936. Newcombe APS’s highest honor, the William James Fellow award, in 2014, in recognition of her lifetime of contributions to basic science. Her highly influential research on the development of spatial cognition has demonstrated how both children and adults can improve these skills through training and play, and that some of these abilities, such as using maps, develop even earlier than once thought. Newcombe’s adaptive combination model of the development of spatial cognition has shed light on how information sources are combined through psychological mechanisms that prioritize sources based on their potential usefulness. In the realm of memory research, Newcombe has proposed that the hippocampal maturation necessary to support explicit episodic memory may not occur until around 2 years of age. Later in life, this early absence of specific memories may then lead to “infantile amnesia,” a phenomena in which our earliest memories become impossible to retrieve as older children and adults. In 2014, Newcombe presented her neoconstructivist approach to cognitive development as part of her APS William James Fellow Award Address at the 26th Annual APS Convention in San Francisco. 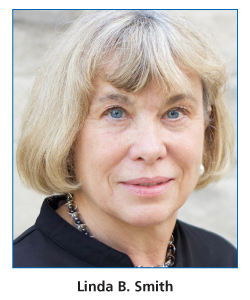 Linda B. Smith, a professor of psychological and brain sciences at Indiana University, Bloomington, has received SEP’s 2019 Norman Anderson Lifetime Achievement Award for “her groundbreaking theoretical and empirical work on cognitive development, including comprehensive theories based on dynamic systems, and how the infant’s natural predispositions and visual world interact to guide object name learning.” She is a 2018 recipient of the APS William James Fellow award. Smith’s model of perceptual classification has provided an essential framework for conceptualizing the developmental shift from the tendency to classify objects by overall similarity as very young children to classifying objects according dimensional identities — such as color, size, or shape alone — as adults. Smith collaborated with developmental scientist Esther Thelen to establish a dynamic systems theory of early human development. This theory draws on a mathematical approach to the study of change to link the processes of exploration and selection to the development of self-organizing perception-action categories. 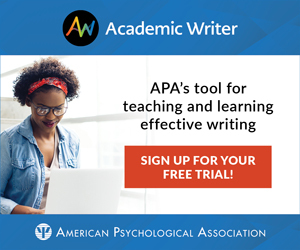 Smith’s work on the shape bias in young children has also significantly advanced psychological science’s understanding of language acquisition. Her research in this area has demonstrated that children of 2 to 3 years in age will extend a novel name for one object to other objects of the same shape — for example, “tractor” to John Deeres, ride-on mowers, and antiques — regardless of variation in texture and size. This and other mechanisms support children’s ability to learn large numbers of words very quickly. Most recently, Smith has been using head-mounted cameras and eye trackers to study how infants’ view of the world contributes to cognitive and visual development. Her studies in this area link vision and machine learning, and are among the first to connect infants’ unique visual environment to object name learning. Smith spoke on the relationship between infant and machine learning during her APS William James Fellow Award Address at the 30th APS Annual Convention in San Francisco in 2018. She was also a keynote speaker at the 2017 International Convention of Psychological Science in Vienna, where she highlighted the intersection of object identification and linguistic learning in children. Smith’s APS William James Fellow Award address is featured in this month’s Observer.